EHF (Enhanced Health & Fitness) Pilates is a boutique studio specializing in injury prevention, post-rehab and injury recovery. We work with a vast array of clients, from overall healthy individuals who wish to stay in great shape to those needing more care to help with their injury recover and physical issues. We train professional athletes, triathletes, cyclists, surfers, post-rehabilitation patients, seniors, pre and post-natal women and specialize in working with those overcoming and managing injuries. In offering clients the fundamentals of proper movement to increase strength without rigidity and improve mobility we have seen great success in reducing pain, improving posture and enhancing everyday activities. EHF Pilates has been very successful in using the Pilates method to aid those with developmental delay, MS and other neuromuscular complications… no matter your fitness level or injury EHF Pilates provides optimal training to maximize your health and wellness goals. For those who need more care, we are happy to communicate with your Physician, Physical Therapist or Chiropractor to ensure we are working as part of a team to help aid in your recovery. We offer visual cueing, tactile feedback and demonstrate exercises and movements to increase mind-body awareness and re-educate your neural-muscular connections to improve posture and gait. 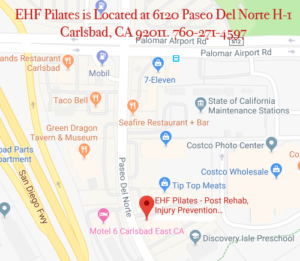 EHF Pilates is referred to by Physicians, Physical Therapists, Chiropractors, Massage Therapists, other clients and body-workers to help manage low-back pain, care for an injury and maintain functional fitness. Our well-educated trainers are chosen not only for their knowledge and competency in the Pilates method but for their various backgrounds in the fitness industry and their innate ability to teach clients. 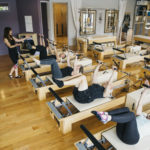 EHF Pilates owner, Natalie Walker is a PMA Certified instructor and Master Trainer with Pilates Sports Center educating the newest generation of Pilates Teachers. 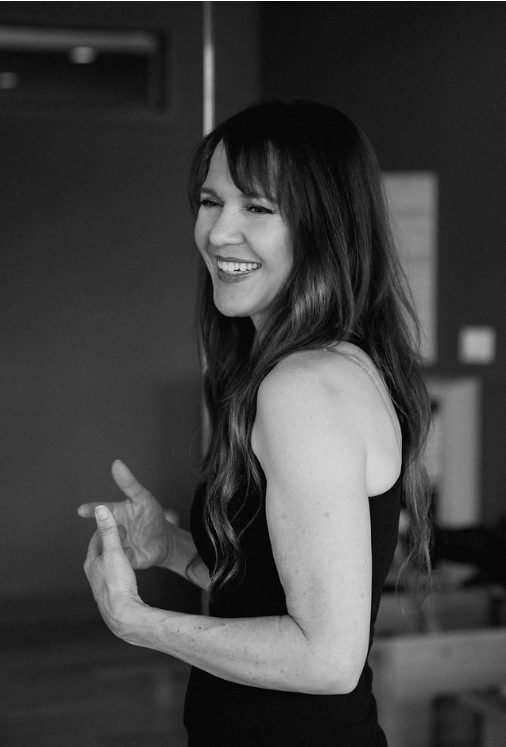 She has been in the fitness industry for two decades and opened EHF Pilates in 2003 after a few years in mainstream fitness began to take its toll on her body due to various injuries. 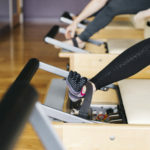 She realized working “smarter rather than harder” would keep her healthy and fit while her love and passion for Pilates and its healing benefits ignited the desire to share it with others and aid in their recovery as well. Read more about Natalie in her bio.